WAMU Radio says goodbye to one of its founders and host of its longest running show, The Big Broadcast. He was 83 years old. Walker passed away a few hours after his final broadcast, and I was honored to offer this remembrance. 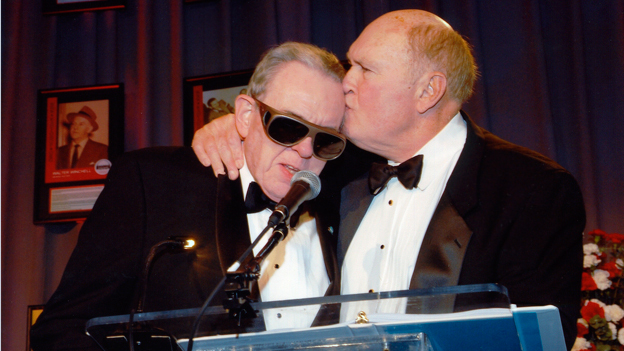 Walker gets a kiss from Scott at the Radio Hall of Fame ceremony honoring Walker in 2010. This entry was posted in Human Interest and tagged Ed Walker, WAMU. Bookmark the permalink.